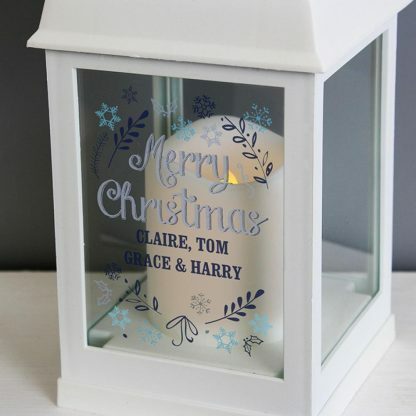 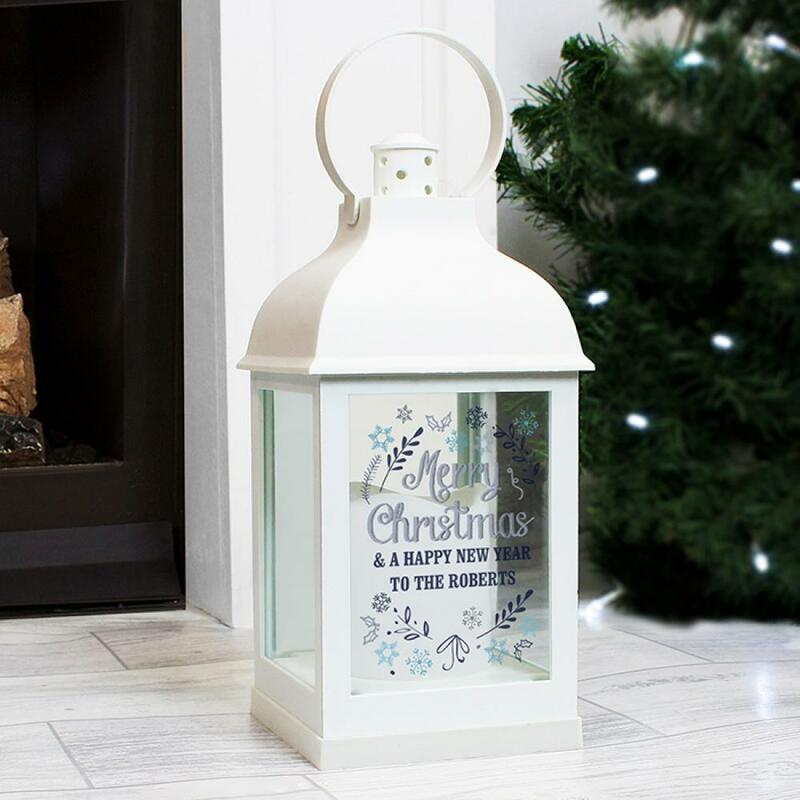 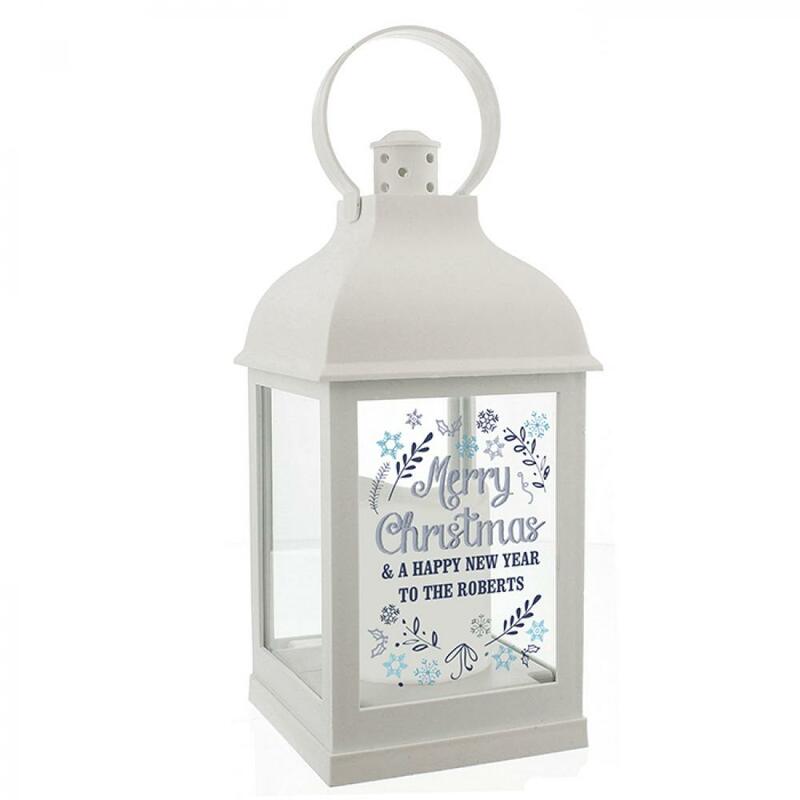 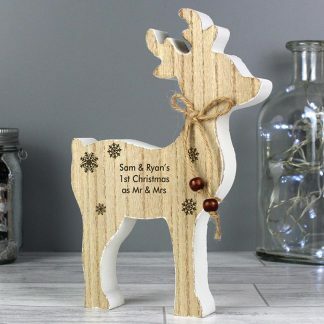 Our stunning Personalised Christmas Frost White Lantern is an ideal way of adding festive ambience to any home this Christmas. You can personalise the lantern with a message over 2 lines. 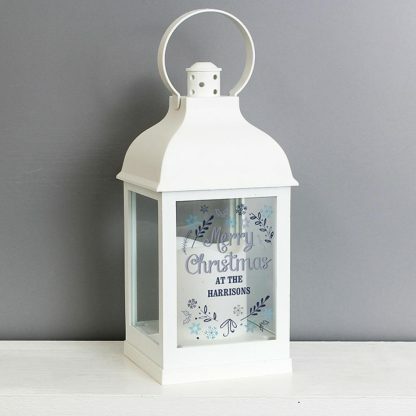 The lantern is made of matt white resin with glass inserts.